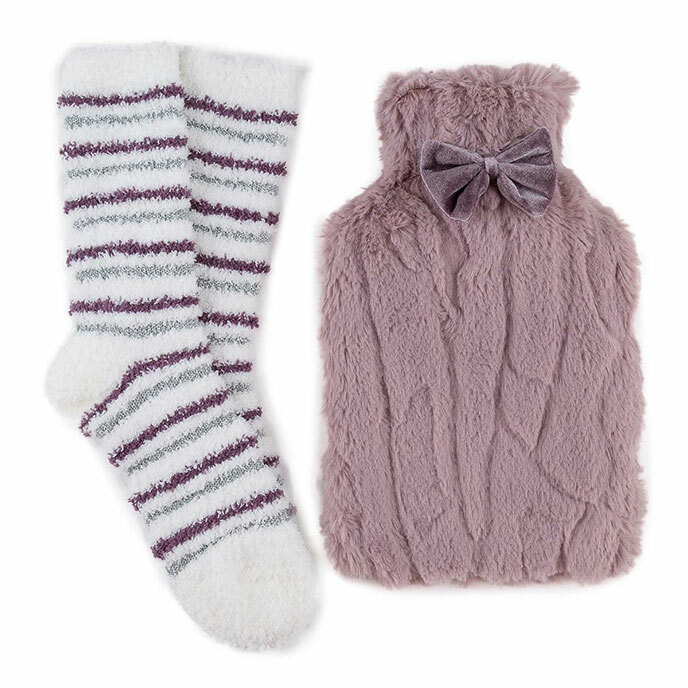 Treat a loved one with this gorgeous gift set, containing a soft faux fur hot water bottle and a pair of our metallic stripe cosy bed socks. Hot Water Bottle Cover and Socks - Machine washable at 30 degrees. Wash dark colours separately.